I know i have not blogged in over 2 months and there isn’t really a reason why. Nothing much has changed, i am now a year older since my last post, and i’m also running #Windows8 on my laptop. 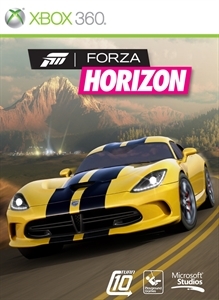 Anyways, as you can probably guess from the title this blog post is going to be about Forza Horizon. The demo for this has been in the xbox live market place since the 9th of October and then was released in europe on the 26th. I bought this game yesterday (3rd, Nov) and i already think its amazing. Totally different from any other Forza game i have played before. The fact i can come on, and spend 10 minutes or 2 hours driving around the HUGE map and just exploring or doing the daft race here and there really excites me. The photo mode, which ill be honest, ive never used on a Forza game before this one is amazing. I can spend ages just trying to find the right shot to snap. Of course one of the key features of the game is the multiplayer. The fact i can sit with friends and drive around this huge map and have races in between ourselves is brilliant. The more the merrier in my opinion. Ill leave you with one of my favorite images from the game so far.